We live in an extremely competitive world. Everyone has a business idea, but not everyone understands marketing and advertising. The key to success is building a strong brand for your business. Typically, branding involves forming a compelling and positive image of your company that creates an emotional bond with your chosen customers. The strength of your bran may mean the difference between recognition and struggle. We’ll discuss how best to define your brand as a newly-formed business. When customers seek out your services, they’ll have an image in mind. This image is your brand. 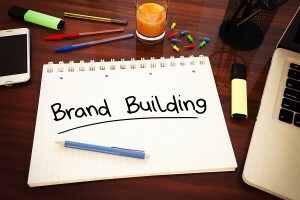 You’ll need to take time to define your brand thoughtfully and early in the company’s life. Define your unique values: Clearly propose what you’re offering to your customers; explain why they should select your services over the competition; how are you different? Identify your customer: Thoroughly define the market you intend to seek out and how best to attend to their needs. Define your employer brand: Why should potential employees and community members choose your business? Next, create a business strategy. A concise brand strategy, when executed correctly, will help promote your business to the right people. Brand equity is the total value your brand brings to the business. You may measure equity in a variety of ways, including the premium you charge for products or long-term customer loyalty. Your brand equity may be strengthened by building awareness, communicating with customers and the community, and shaping favorable thoughts. If you’re prepared to take your business to the next level through marketing and advertising, contact Contractor 20/20 by calling (607) 770-8933. Your business is our business!